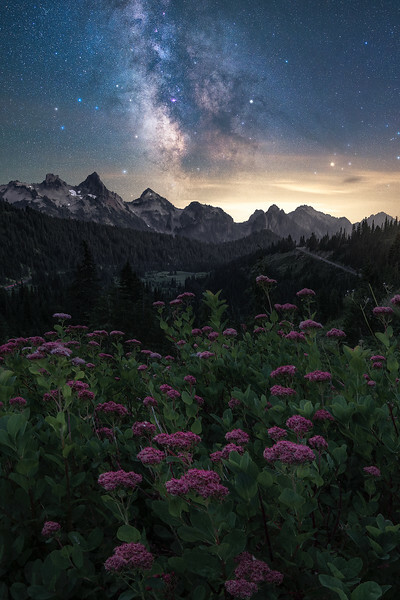 Milkyway, Wildflowers, Post Processing and More! Once registered, you will receive additional information regarding schedule, gear, lodging and more. Feel free to contact me directly if you have any questions before registering. *Flights, lodging, transportation, food/alcohol and park fees are not included in this price. Though I am often known to be carrying an abundance of snacks that I love to share! 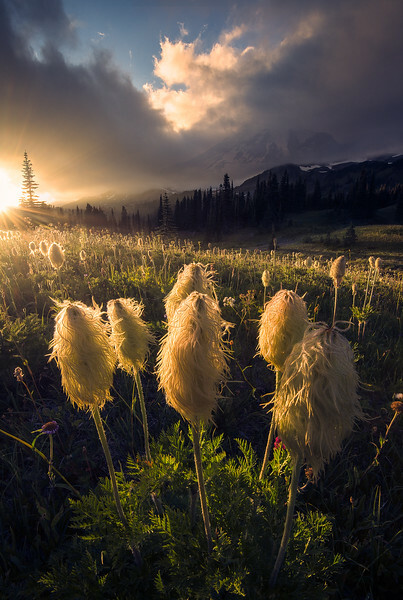 Join me for 3 days and 2 nights in Washington's most iconic National Park! 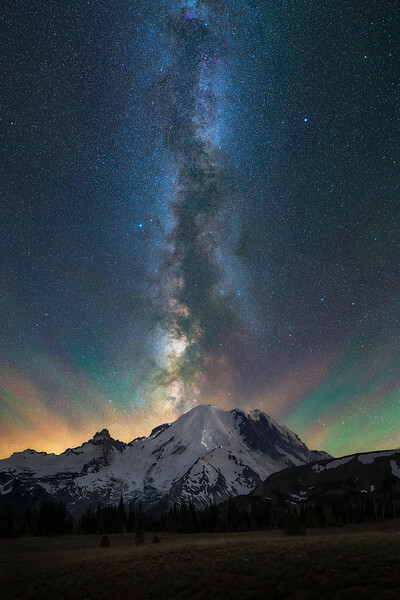 Every year photographers travel to Mt Rainier from all over the world to photograph its massive mountain peaks, fields of wildflowers, alpine streams/waterfalls, and experience some of the darkest skies the PNW has to offer. 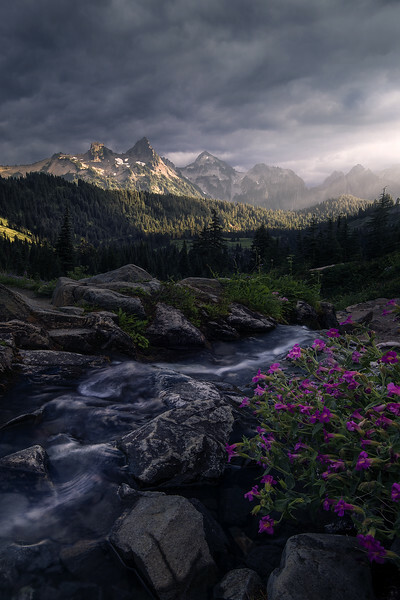 As a landscape photographer, there are few places that can compare to the paradise that is Mt Rainier National Park. 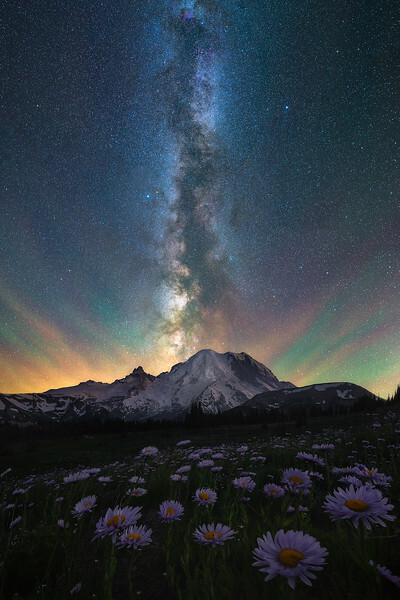 These workshops are centered around photographing the milky way and experiencing the massive bloom of wildflowers throughout the park. The dates line up with a new moon to provide the best possible night shooting conditions. While shooting the Milky Way will be our primary objective, sunrises and sunsets will also be chased if you have the energy to join after a night of shooting! We will spend 2 days and nights photographing in the park along with 1 morning learning how to post process and edit our photos from start to finish. My goal is to take you to the best locations at the best times to capture once in a lifetime photos. I have spent countless hours exploring and enjoying this park and can't wait to share it's beauty with you! Activity level and difficulty: Easy! 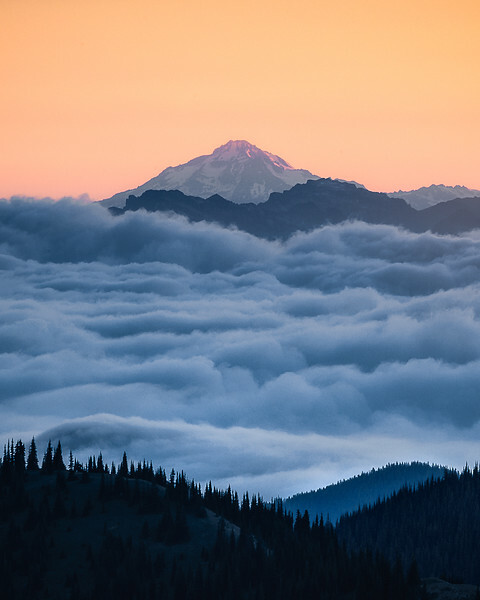 There will be moderate hiking, but no further than 1 mile from your car at any time. The terrain can be steep, but is normally paved and there is no rush. I list Safety & Reliability near the top of all my workshops because I take my roll as your guide very seriously. 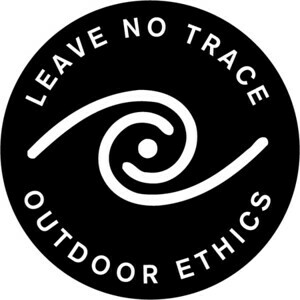 This includes following park rules and being prepared for your safety. My workshops follow all guidelines and regulations of the National Park Service, State Parks & Forest Services that they are hosted in. 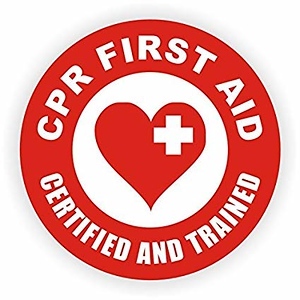 I am certified in Adult CPR/AED, First Aid and Leave No Trace (LNT) principals. Ross Schram von Haupt Photography is a licensed and fully insured business. We will be exploring both the Southwest and Northeast side of the park. 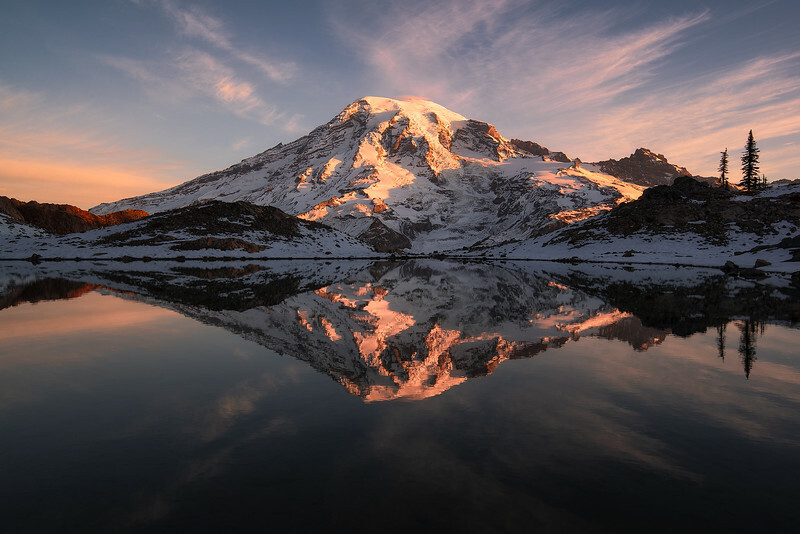 Main location include, but are not limited to: Reflection Lakes, Paradise, The Tatoosh, Tipsoo Lake, Sunrise and more. The workshop will include two sunsets, night shots and sunrises each followed by an in depth post processing session outside the park. Once registered, you will receive additional information about the workshop and places we will be visiting. The nearest major airport is SEA/TAC which is located around 2.5hrs from the Paradise area. Any transportation to and from the park is not included in this workshop. Rental cars can be found at the SEA/TAC airport.